4 year old Jeanna with her beloved green parakeet, Pretty Girl. Adult Jeanna with a portion of her crystal friends. Approaching a milestone July birthday has given me some pause for reflection and I realized just how much my grandmother, even though she passed away when I was barely four years old, influenced my early life. “Maw-maw”, as I called her, was a loving but practical babysitter for my three year old self. Do you know how to pick the perfect gooseberries to make a pie? I do, because my Maw-maw taught me! All these years later I can still envision visiting the gooseberry patch with my patient grandmother showing me the bright green lip-puckering bitter young berries and the deep purple sweetly ripe ones. But the perfect pie berries were plump, deep green and I think how amazing that the memories remain so clear after all these years. Maw-maw was a big believer in experiential learning which is how I know just how bitter those unripe gooseberries taste! Another vivid memory involves Maw-maw’s ‘rock collection’. She kept a box of rocks safely tucked away from prying little fingers until after my afternoon nap. With great excitement, I watched the cardboard box appear as Maw-maw sat it carefully on the table and removed the lid. Now folks, these weren’t any special kind of rocks! In retrospect, I believe she probably picked them up from the fields on the family farm and from the river that flowed just behind the house. We spent countless hours building fences to contain my little toy cows, the big gray rock became a mountain for my toy goat to climb upon, the mischievous horses would hide behind a mound of rocks just waiting for me to find them. Imagine having such fun with a box of river rocks! But the memories I have of those fun afternoons are as clear today as they were all those years ago. As I reflect on these precious memories, I am struck by the fact that these activities didn’t cost any money, didn’t involve travel to exciting places or big events. Mostly we were outside in nature with my grandmother chatting away, imparting life lessons without even realizing it…..from talking about the myriad vegetables in her garden to discussing her favorite applesauce recipe. Those are the times I remember…not the big events, but the quiet, every-day moments with my beloved Maw-maw. And I suppose that is the message this month. You might be surprised at what memories children hold dear. It’s the small, personal moments that pass like quicksilver through the adult mind but linger forever within a child’s memory. So take a little minute to make a special memory…take your child out for a nature walk and show them different kinds of trees or birds; watch a bee gather pollen from a flower; find a stick in your yard and dub it a ‘magic wand’. I call it ‘Nurturing Nature’…. combining the natural world with forever memories enables our kids to associate nature with happy memories throughout their entire lives. 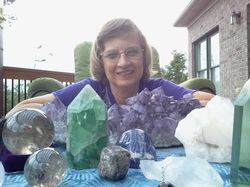 Personally, I have always had a special place in my heart for rocks, becoming a certified Crystal Healer a few years ago…and I’ll tell you, I think of my Maw-maw every time I work with my crystals and stones….and thank her for introducing the rock people into my life in such a respectful manner. 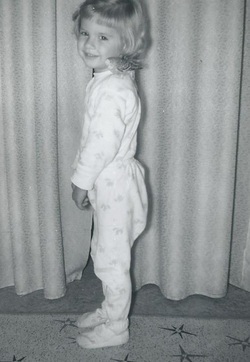 Little did she know that, just by being herself, she promoted a life-long appreciation of the natural world. 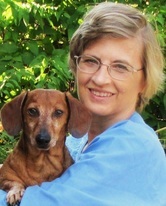 Critter Tip Of The Month: More pets are reported lost on July 4th than any other day of the year. Please ensure that your pets are contained safely away from the noise and explosions of fireworks. They will thank you for it.